Coronado Beach in San Diego tops this year's list of best beaches, compiled annually by "Dr. Beach" Stephen Leatherman. Main Beach, East Hampton, N.Y.
St. George Island State Park, St. George Island, Fla.
Coast Guard Beach, Eastham, Mass. Veterans Day of ALL Veteran’s Days in Coronado CA! Everybody loves Coronado and I love selling real estate in Coronado! What a great community to live, work and play in. 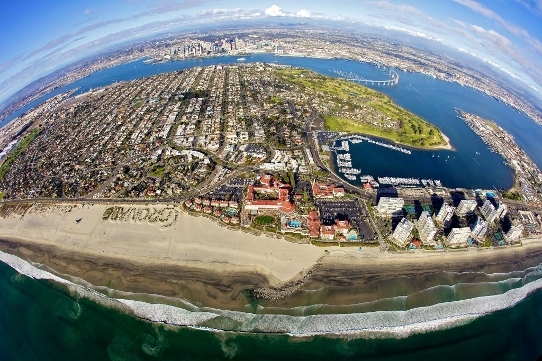 A National Citizen Survey reported that Coronado, California has some of the most satisfied residents in the country. Coronado used the National Citizen Survey, a joint effort between the National Research Center and the International City/County Management Association, to produce a statistically valid study. Questionnaires were mailed to 1,200 random Coronado homes (mine was not one of them) and 357 completed surveys were received. Apparently the response rate (31%) was a typical response rate for a citizen survey. Microbrewery In Coronado - Enjoy The Fun In Coronado! Forbes announced its picks for America’s Prettiest Neighborhoods!